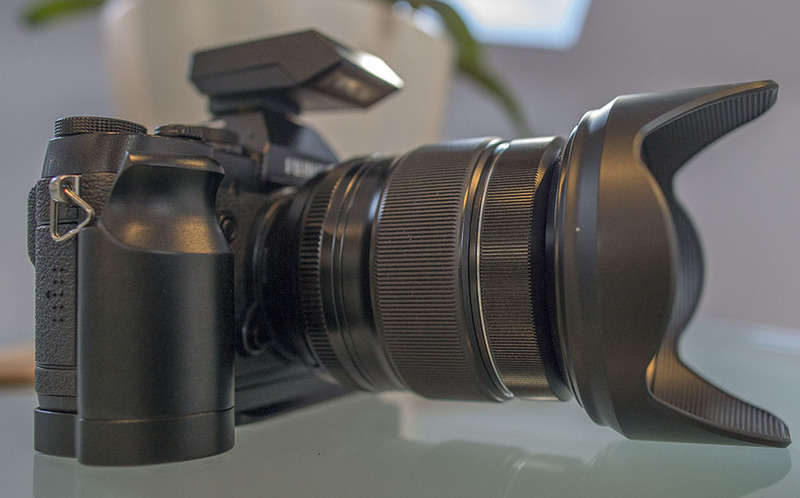 Fuji 16-55mm f2.8 R LM WR Fujinon Lens - Is this the best Fuji X lens ever? I bought the Fuji 16-55mm f2.8 R LM WR Fujinon Lens to try out, use for a while, write some review articles about and sell on. That went well then, since in fact I've ended up keeping it and selling all my other Fuji lenses! Why? Well, it may or not be the best Fuji X lens you can buy, but it's certainly become my favourite. First off it takes a seriously good snap. Some people think this is too big a lens for a mirrorless APS-C system, but I have to say I just love the 'big camera, big lens' DSLR feel to this fitted onto an X-T1. It IS lighter and smaller than the Nikon and Canon 'Full-Frame' comparative zooms, but it's still a chunky lens. But boy does it feel good in my hand. It's serious, it has gravitas and it exudes professionalism and class. It's like all Fuji lenses, very well made and feels like it will last for ever when I use it. I prefer lenses I can support with my left hand and that make the camera I'm using balance well. The 16-50mm when on the front of my X-T1, with a PhotoMadd grip attached, is just such a solid feeling combination. And once again the word professional springs to mind. No matter what the quality of the images it produces might be, it feels like it will do whatever job I throw at it and it will do it well. I think it's great, but lets face it, it's no lens for wimps!! Excellent throughout. Just like a 'pro-spec' standard zoom should produce. Fuji don't seem to produce bad, or even mediocre, lenses anyway and this is typical of the optical quality you can expect from them. Decent results via Adobe Camera Raw and even better results via Iridient Developer, the files this lens produces will disappoint nobody in terms of sharpness across the frame, relatively low distortion and fringing / CA production and great colour rendition. There's very little compromise here. The constant f/2.8 aperture is the sign of a 'pro-spec' zoom. And this lens is a step up from the 18-55mm f/2.8-4, which is a decent lens but suffers from softish corners. It's also worth remembering that this newer lens is a 24-85mm 'equivalent' in 35mm terms, making it somewhat more useful the the Canon and Nikon 'FF' DSLR versions. An APS-C version of an 85mm f/2.8 is a nice portrait option to have and the focal lengths included in this lens made it easy for me to sell my other Fuji X lenses. For some the lack of IS in the lens and lack of IBIS in Fuji bodies is an issue. But for me, it's not. The bulk of the cameras and lenses I've used over the years have been 'stabilisation free.' I'm so old school, I actually spent time learning to hold a camera and lens steady, without having to rely on some fancy mechanics to do that for me. I seem to have managed OK without it, but I guess it is important for some. But then I guess we're back to wimps again!! As you may have guessed from the tone here, I have this lens filed under the category 'Real lenses for real photographers' and while I'm exaggerating this deliberately, this is exactly how using this lens feels to me. It's got this timeless feel and the handling quality of a DSLR lens. For me that's no bad thing, never has been, and as you know I certainly don't subscribe to the view that there is something intrinsically wrong with the DSLR concept anyway. And if DSLR's do become marginalised then I'll be sad about that, because firstly film SLR's and then their digital equivalents have served me well over the years. This lens adds further weight to the notion that Fuji X does have some credibility as a professional system, particularly in conjunction with the 50-140mm f/2.8. Unfortunately poor battery life, soft raw conversions in Lightroom and Photoshop and poor video implementation mean that Fuji are not quite there yet. Which is a shame because the lens range is already there, in terms of the fact that all the lenses Fuji have released are high quality, well-made and very usable. So is it the best Fuji X lens ever? Well for me it is. Much as I liked lenses like the 23mm f/1.4 and 56mm f/1.2, there are very few situations I would ever need apertures that wide. In my comparison with the 23mm HERE I found that it's very close in terms of quality, so I would stick with my opinion that this is indeed the cream of the current Fuji X lens range. And considering the quality of that range, that's pretty high praise.